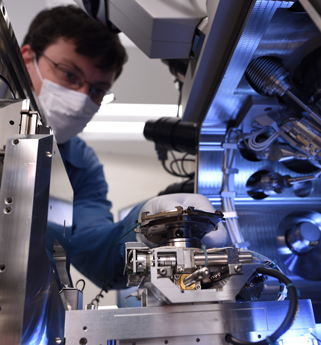 Submission deadline: January 31, 2019 A nanoscience research facility available to researchers from around the world. Access to CFN’s cutting edge instruments, techniques, and expertise are granted through a competitive peer review process free of charge for non-proprietary work. Researchers may come from industry, academia, and government institutions. We are currently recruiting for the position of Technical Director. Please click here to review the posting or apply. Please feel free to share this link with any interested parties. The University of Pittsburgh community made an excellent showing at the 2018 Microscopy and Microanalysis (M&M) conference. Please click here to learn about the members of our lab who were honored at the conference. Abberation Corrected TEM room construction is finished. Equipment trainings are being offered starting September 2018. Trainings can be requested through your FOM login. New to the NFCF? Here's how to get started.